Very Good. From the internationally bestselling authors of The Wife Between Us comes a mind-blowing thriller of betrayal, obsession and dangerous truths. 384 p.
When Jessica signs up for an anonymous psychological study about ethics and morality she doesn't realise the extent to which it will impact her life. What is the study's end-game and what does the mysterious Dr Shield's really want to get out of the results? An Anonymous Girl is a chilling thriller which holds its card close to its chest throughout. Although you get a nice balance as the chapters alternate between Jessica and Dr Shield's perspectives, you still only get drip fed the information that the characters want you to know and they both feel very unreliable at times. I particularly loved the chapters written from Dr Shield's point of view - both Hendricks and Pekkanan really effectively get under the skin and into the mind of a psychologist and the result is harrowing. I loved the examples of real-life psychological studies dotted throughout the piece - from Ascher's study of conformity, the Stanford prison experiment and the Invisible Gorilla test, all are used perfectly within context and added some real-life believability into the narrative. Dr Shield's is described at one point as being 'understated, elegant (and) menacing'. I think this actually sums up the book very well indeed! There is an air of unease throughout the entire book and you aren't quite sure who to trust and where the plot is going. The pace keeps up at break-neck speed with lots of little twists and turns that kept me off-balanced but hooked throughout. My only criticism is that I found the use of second person narrative in Dr Shield's earlier chapters to be a little hard to get into at first, although as I got to know the characters more it actually added to the atmosphere of the book. That was my only note on the book though as I just got into it so much that I just enjoyed the story for what it was without needing to criticise or write notes. 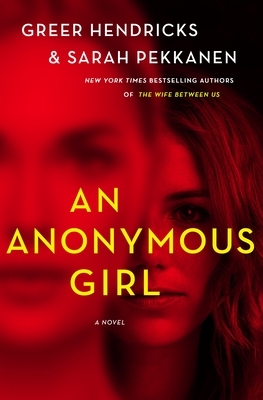 Overall An Anonymous Girl is a chilling psychological thriller about obsession and trust and is highly recommended! Thank you to NetGalley and Pan Macmillan for a copy of the ARC in exchange for an honest review. The premise of this book was interesting, and the resulting story was quite suspenseful. Initially I found myself rooting for Jessica as I appreciated how she tried to take care of her family. I liked seeing the personal growth she made by the end of the book, though she still had some room to grow since some of her actions, even then, displayed questionable ethics. Dr. Shields was completely creepy which did make for exciting reading. However, some of the questions she had could have been answered far more easily by a private investigator. And the purpose of her so-called study, her test? It seems there was only one answer she was willing to accept, but such an expectation is neither scientific nor realistic. As a result, while I found the story fairly diverting, the character of Dr. Shields at times made it border on the ridiculous.